Once again, Sculpteo is coming with great news for the lovers of metal 3D printing. This time, we introduce you to a new 3D printing material that is now available through our online 3D printing service: Bronze. 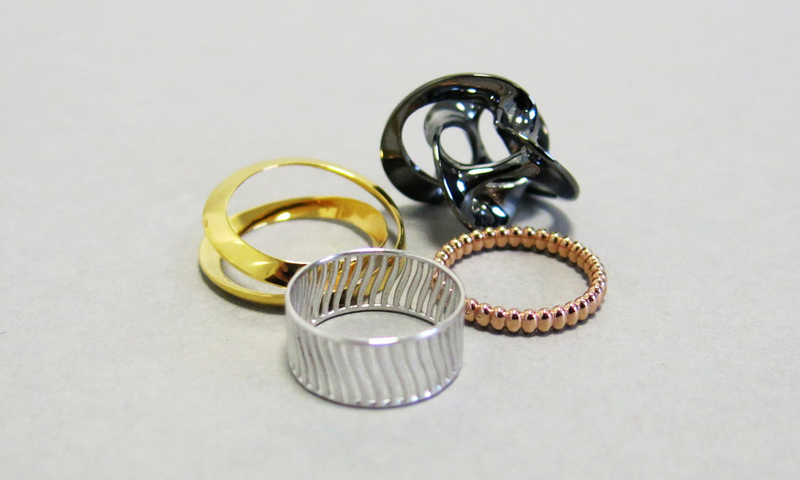 If you are looking for an affordable and precious metal to create 3D printed jewelry or decorative parts, then bronze is the perfect choice! Let’s discover this new metal material, check out its mechanical properties and how it can fit your needs. Our bronze material is a metal alloy composed of 90% copper and 10% tin. It has aStandard 14K color which is reddish-yellow as you can see in the pictures. The available finishes for this material are Raw and Polished. Our bronze material is characterized by a much higher resistance to tarnish than brass alloys. Moreover, it has a harder surface that doesn’t get oxidized when exposed to air. 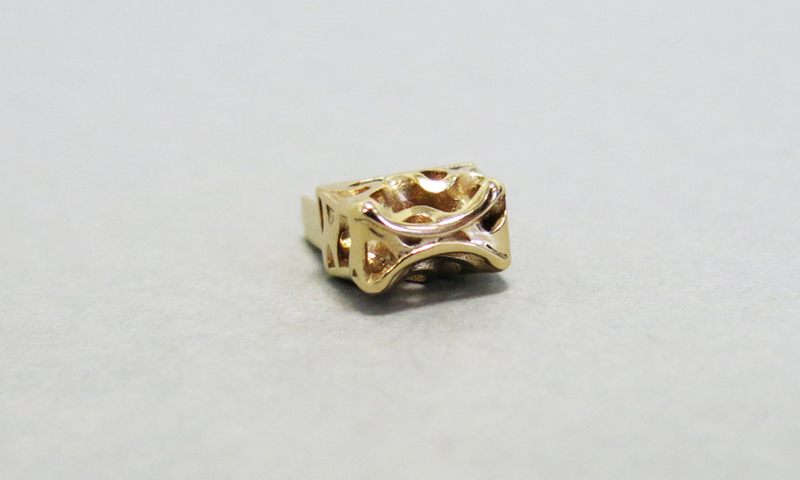 Bronze material is a metal printed with the Lost-Wax Metal Casting technique, which allows for an extremely high level of precision in your designs. With this technique, your 3D model is first 3D printed in wax and covered with a stone-like material. Then, the wax is heated and drained through two holes that are left on the stone material. At the next step, the model is refilled with bronze, left to cool down and when it’s ready the cast is removed by hand. In order for your 3D model to be printed in bronze, it has to adhere the maximum dimensions which are 88 x 88 x 120 mm. If your model is bigger than this size, it cannot be printed. Moreover, since bronze might be fragile, mind the very fragile areas of your design. We recommend you to thicken the thin parts of your 3D model to ensure that it will be printed successfully. In addition, the minimum clearance of your walls should respect the limitation of 0.3 mm. That clearance is for allowing the excess liquid to be drained from between the object’s walls during the printing process. If you want to know more technical information or design guidelines about our bronze material, we invite you to consult this dedicated material page. 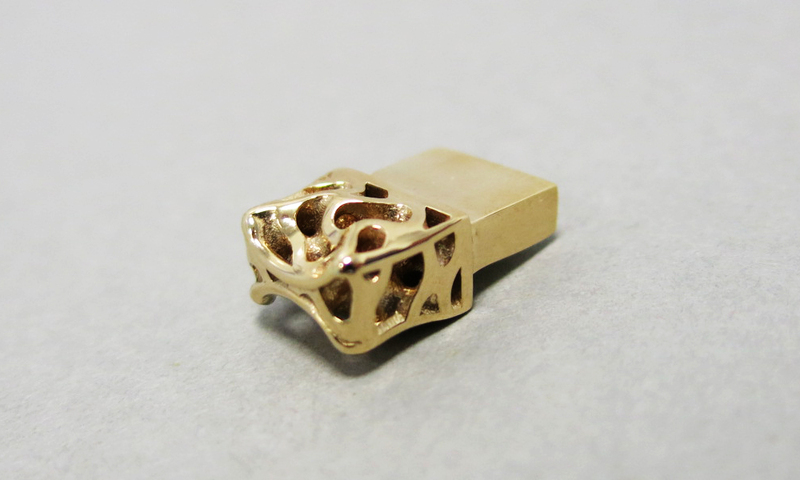 Bronze is a precious metal that can find various applications in 3D printing. Even the raw version has a bright and smooth surface. It’s the perfect choice for creating metal jewelry with complex geometry, such as rings, pendants, bracelets etc. Of course, it’s a material that can stand extended skin contact, and will cause no harm in doing so. Moreover, it can be used for the creation of other things, such as decorative parts, belt buckles and many more. 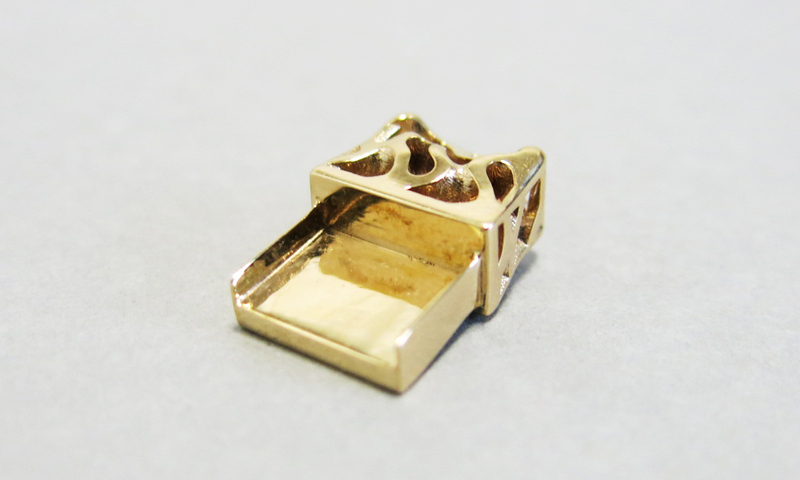 Apart from the Bronze material, there are more metal materials that are printed with the Lost-Wax Metal Casting technique and they are equally great: Silver and Brass. Both materials can be used for the creation of jewelry and precious parts, exactly as Bronze. Let’s check them out and see how each one can be a good 3D printing option. 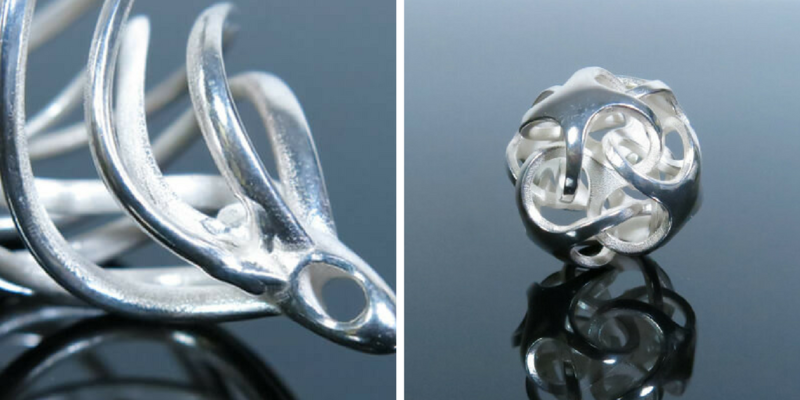 Sculpteo’s silver material is composed of 92.5% pure sterling silver and 7.5% metal alloy. Currently, the finishing options that are available for our silver material are Raw and Mirror polished. It is a great choice for creating silver decorative parts or jewelry of great geometric complexity with a shiny and silver-look surface. 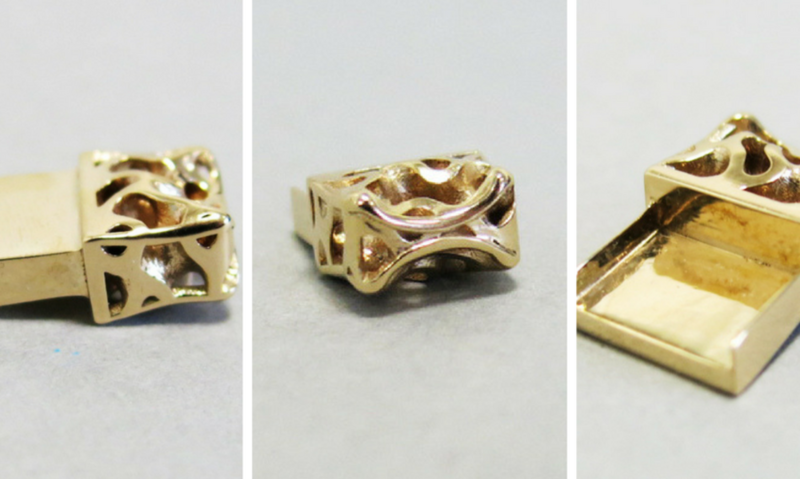 Brass is another 3D printing material that finds great applications in the jewelry industry. It is composed of 80% copper, 15% zinc and 5% tin, and comes in various 3D printing finishes. 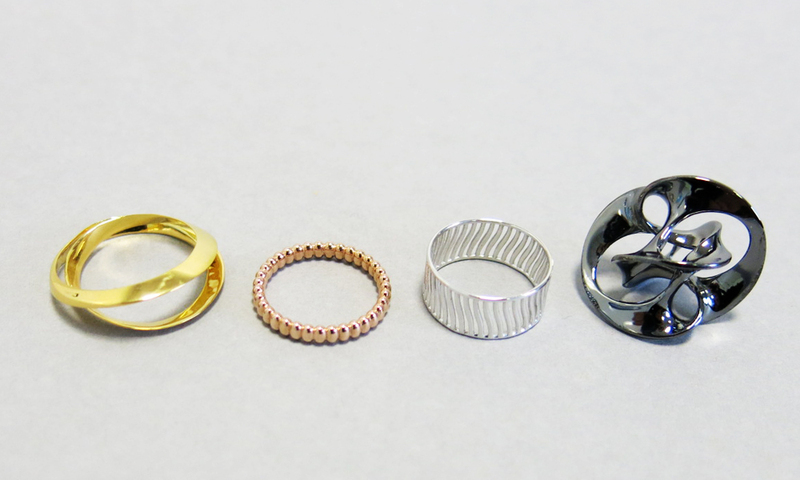 Indeed, recently, we introduced you to 4 of the new metal finishes for brass: White Rhodium finish, Black Rhodium finish, Gold plating and Pink Gold plating. You can apply these finishes on your brass models if you want to give them a gold, a pink gold, a silver or a black look. The result you will have is illustrated in the following picture. 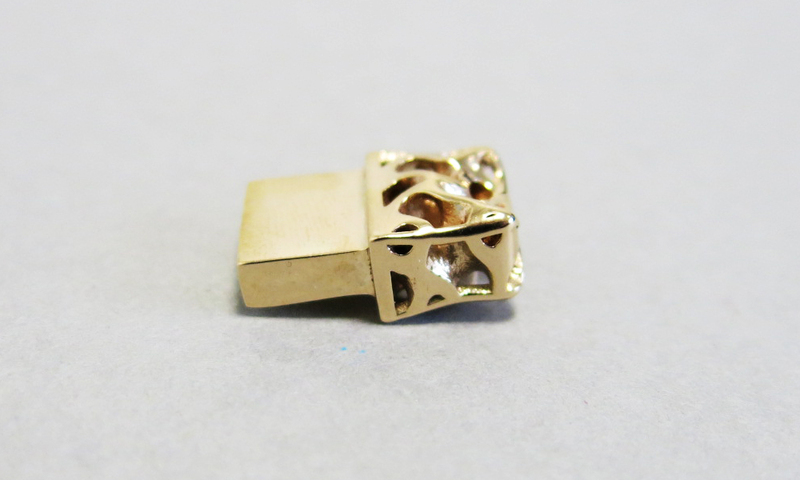 Are you tempted to 3D print your own customized jewelry? Don’t hesitate to upload your 3D model on our online platform, select the 3D printing material and finishing option which suits you best, and we will 3D print it for you!